27. Nan Liu, Riccardo Marin, Yacine Mazouzi, Greg O. Cron, Adam Jason Shuhendler, Eva Hemmer*. Cubic versus hexagonal - Effect of host crystallinity on the T1 shortening behaviour of NaGdF4 nanoparticles. Europium-doped ZnO nanosponges - Controlling optical properties and photocatalytic activity. J. Mater. Chem. C 2019, 7, 3909-3919. 25. Riccardo Marin, Ilias Halimi, Dylan Errulat, Yacine Mazouzi, Giacomo Lucchini, Adolfo Speghini, Muralee Murugesu*, Eva Hemmer*. Harnessing the synergy between upconverting nanoparticles and lanthanide complexes in a multi- wavelength responsive hybrid system. ACS Photonics 2019, 6 (2), 434-445. 24. Nikita Panov, Riccardo Marin, Eva Hemmer*. Microwave-assisted solvothermal synthesis of upconverting and downshifting rare-earth-doped LiYF4 microparticles. Inorg. Chem. 2018, 57 (23), 14920-14929. 23. Dylan Errulat, Bulat Gabidullin, Muralee Murugesu*, Eva Hemmer*. Probing optical anisotropy and polymorph-dependent photoluminescence in [Ln2] complexes via hyperspectral imaging on single-crystals. Chem. Eur. J. 2018, 24 (40), 10146-10155. 22. Shashi Bhuckory, Eva Hemmer, Yu-Tang Wu, Akram Yahia-Ammar, Fiorenzo Vetrone and Niko Hildebrandt. Core or shell? Er3+ FRET donors in upconversion nanoparticles. Eur. J. Inorg. Chem. 2017, 44, 5186-5195. 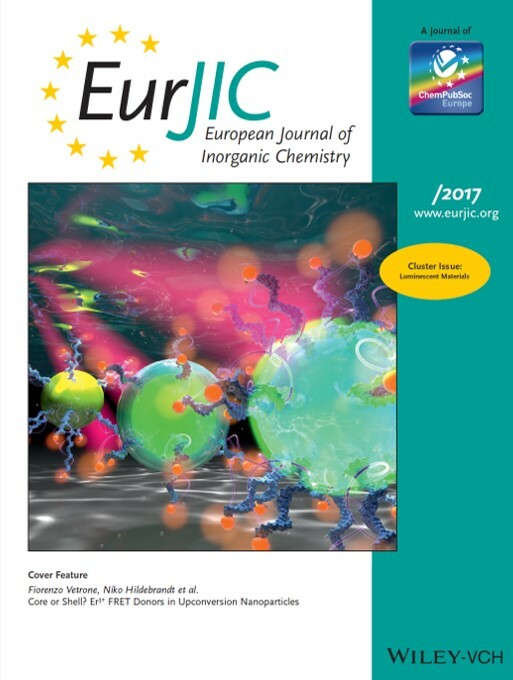 ​ Highlighted as Very Important Paper and chosen for the Front Cover. 21. Artiom Skripka, Riccardo Marin, Antonio Benayas, Patrizia Canton, Eva Hemmer and Fiorenzo Vetrone. 20. Eva Hemmer*, Pablo Acosta-Mora, Jorge Méndez-Ramos and Stefan Fischer. Optical nanoprobes for biomedical applications: Shining a light on upconverting and near-infrared emitting nanoparticles for imaging, thermal sensing, and photodynamic therapy. ​ J. Mater. Chem. B 2017, 5 (special issue: Emerging Investigators 2017), 4365-4392. ​ 19. Ting Cheng, Richard O'Rorke, Raphael Francois Ortiz, Tay Yee Yan, Eva Hemmer, Fiorenzo Vetrone, Robert S. Marks and Terry W. J. Steele. 18. Artiom Skripka, Antonio Benayas, Riccardo Marin, Patrizia Canton, Eva Hemmer and Fiorenzo Vetrone. 17. Yue Huang, Eva Hemmer, Federico Rosei and Fiorenzo Vetrone. 16. Eva Hemmer, Antonio Benayas, François Légaré and Fiorenzo Vetrone. Nanoscale Horiz. 2016, 1, 168-184. Selected for the Front Cover. 15. Eva Hemmer, Christian Cavelius, Volker Huch and Sanjay Mathur. 14. Eva Hemmer, Marta Quintanilla, Francois Légaré and Fiorenzo Vetrone. 13. Eva Hemmer, Fiorenzo Vetrone and Kohei Soga. 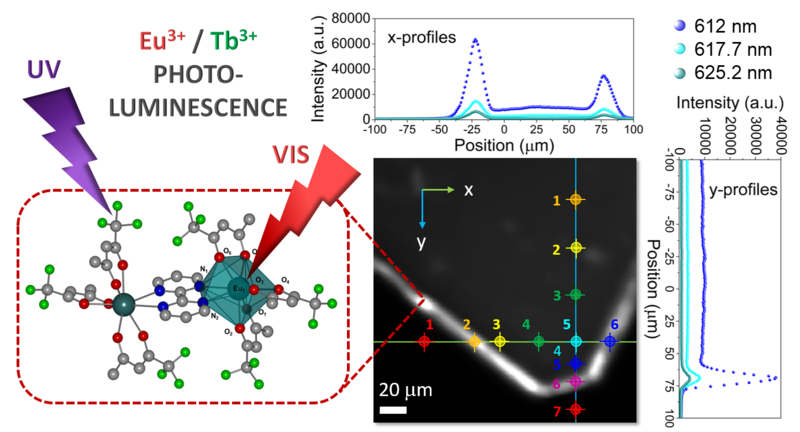 Lanthanide-based nanostructures for optical bioimaging: Small particles with large promise. MRS Bulletin 2014, 39 (11), 960–964. 12. Eva Hemmer, Nallusamy Venkatachalam, Hiroshi Hyodo, Akito Hattori, Yoshie Ebina, Hidehiro Kishimoto and Kohei Soga. 11. Nallusamy Venkatachalam, Tomoyoshi Yamano, Eva Hemmer, Hiroshi Hyodo, Hidehiro Kishimoto and Kohei Soga. Er3+ doped Y2O3 nanophosphors for near-infrared fluorescence bioimaging applications. J. Am. Ceram. Soc. 2013, 96 (9), 2759–2765. 10. Eva Hemmer, Tomoyoshi Yamano, Hidehiro Kishimoto, Nallusamy Venkatachalam, Hiroshi Hyodo and Kohei Soga. 9. Eva Hemmer, Nallusamy Venkatachalam, Hiroshi Hyodo and Kohei Soga. 8. Eva Hemmer, Izumi Kumakiri, Nicolas Lecerf, Rune Bredesen, Sven Barth, Jessica Altmayer, Nicole Donia, Christian Cavelius, Kohei Soga and Sanjay Mathur. Nanostructured ZrO2 membranes prepared by liquid-injection chemical vapor deposition. Micro. Meso. Mater. 2012, 163, 229–236. 7. Kohei Soga, Kimikazu Tokuzen, Keisuke Fukuda, Hiroshi Hyodo, Eva Hemmer, Nallusamy Venkatachalam and Hidehiro Kishimoto. Application of ceramic/polymer conjugate materials for near infrared biophotonics. J. Photopolym. Sci. Tech. 2012, 25 (1), 57–62. 6. Eva Hemmer, Hiroyuki Takeshita, Tomoyoshi Yamano, Takanori Fujiki, Yvonne Kohl, Karin Löw, Nallusamy Venkatachalam, Hiroshi Hyodo, Hidehiro Kishimoto and Kohei Soga. ​ 5. Nallusamy Venkatachalam, Eva Hemmer, Tomoyoshi Yamano, Hiroshi Hyodo, Hidehiro Kishimoto and Kohei Soga. 4. Eva Hemmer, Volker Huch, Matthias Adlung, Claudia Wickleder and Sanjay Mathur. 3. Eva Hemmer, Kohei Soga, Tomoya Konishi, Tomoaki Watanabe, Takaaki Taniguchi and Sanjay Mathur. 2. Eva Hemmer, Yvonne Kohl, Victoria Colquhoun, Hagen Thielecke, Kohei Soga and Sanjay Mathur. 1. Sanjay Mathur, Michael Veith, Thomas Ruegamer, Eva Hemmer and Hao Shen. 2. Eva Hemmer and Fiorenzo Vetrone. Edited by Claudia Altavilla, CRC Press, October 2016, 319-357 (ISBN 9781498707749). 1. Eva Hemmer, Yvonne Kohl, Sanjay Mathur, Hagen Thielecke and Kohei Soga. and Systems, Edited by Sanjay Mathur, Hao Shen and Mrityunjay Singh, John Wiley & Sons, Inc., Hoboken, NJ, USA, 2010, 214, 27–37. Lanthanide-doped nanoparticles as versatile donors in luminescence energy transfer pairs. Exploiting luminescence energy transfer in lanthanide-based nanostructures for biomedical applications. Synthetic strategies for multifunctional lanthanide-based oxide and fluoride nanoprobes. Shining a light on lanthanide-based nanoparticles: Synthesis pathways and potential applications. Lanthanide-based nanostructures as potential players in the biomedical field. Lanthanide-based nanoparticles: Versatile luminescent probes. Synthetic strategies for upconverting and near-infrared emitting lanthanide-doped nanostructures. A snapshot on lanthanide-based luminescent nanomaterials: Synthesis and biomedical applications. 41. Eva Hemmer, Marta Quintanilla, Artiom Skripka, François Légaré and Fiorenzo Vetrone. Potential and limitations of lanthanide-based upconverters and near-infrared emitters. 40. Eva Hemmer, François Légaré and Fiorenzo Vetrone. Potential and limitations of near-infrared excited lanthanide-doped nanostructures as multifunctional players. 39. Eva Hemmer, Artiom Skripka, François Légaré and Fiorenzo Vetrone. Exploiting the near-infrared biological window for lanthanide-based temperature measurements. Upconverting and near-infrared emitting nanoparticles: From synthetic strategies to potential applications. 37. Eva Hemmer, Artiom Skripka, François Légaré and Fiorenzo Vetrone. 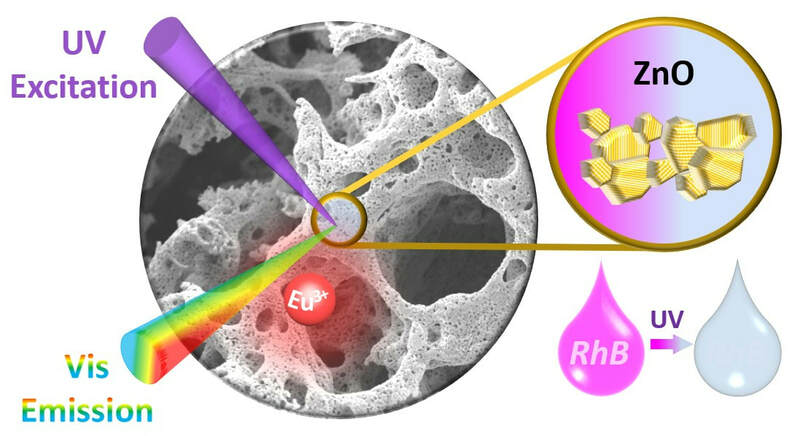 Lanthanide-based near-infrared emitters for biomedical applications. 36. Eva Hemmer, François Légaré and Fiorenzo Vetrone. From bioprobes to potential players in energy conversion technologies - Multifunctional lanthanide-nanophosphors. 35. Eva Hemmer, François Légaré, and Fiorenzo Vetrone. 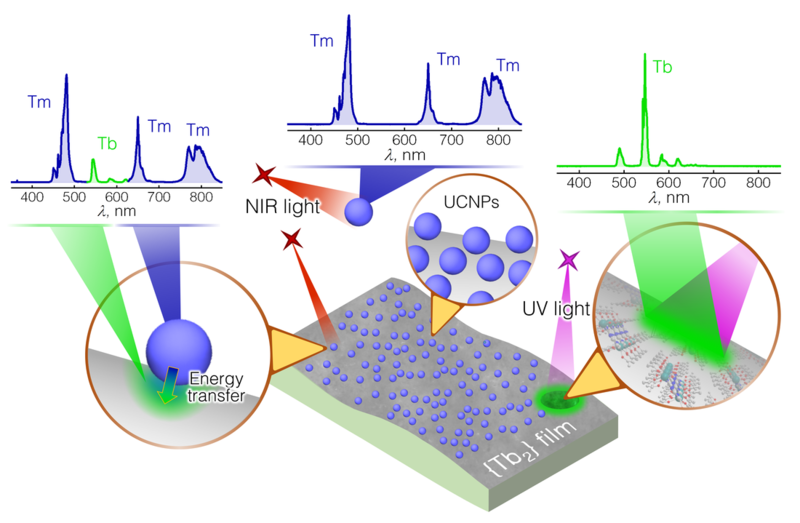 Using light to measure temperature: Lanthanide-doped nanoparticles for nanothermometry. 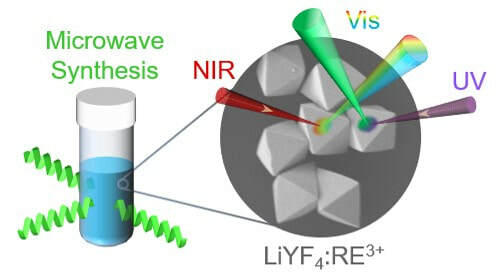 Lanthanide-doped nanostructures for near-infrared nanothermometry. 33. Eva Hemmer, Marta Quintanilla, François Légaré, and Fiorenzo Vetrone. Lanthanide-based nanoparticles as new candidates for nanothermometry. 32. Eva Hemmer, Marta Quintanilla, François Légaré and Fiorenzo Vetrone. Temperature-induced energy transfer in dye-conjugated upconverting nanoparticles for nanothermometry applications. 31. Eva Hemmer, Marta Quintanilla, Shadi Rohani, François Légaré and Fiorenzo Vetrone. Upconverting lanthanide-nanophosphors: From promising biomarkers to new players in energy conversion technologies. 30. Eva Hemmer, Marta Quintanilla, Shadi Rohani, Jose Marques-Hueso, Bryce S. Richards, François Légaré and Fiorenzo Vetrone. Upconverting lanthanide-nanophosphors: New players in bioimaging and energy conversion technologies? 29. Eva Hemmer, François Légaré and Fiorenzo Vetrone. 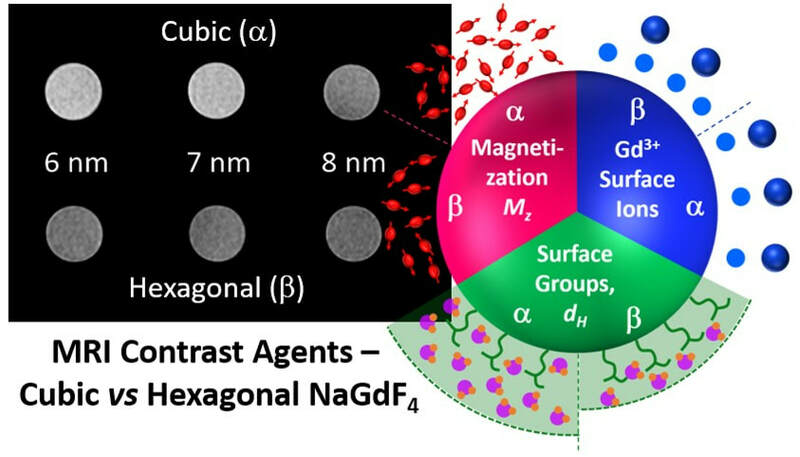 Lanthanide-doped NaGdF4 nanoparticles as promising probes for nanothermometry. 28. Eva Hemmer, François Légaré, Kohei Soga and Fiorenzo Vetrone. 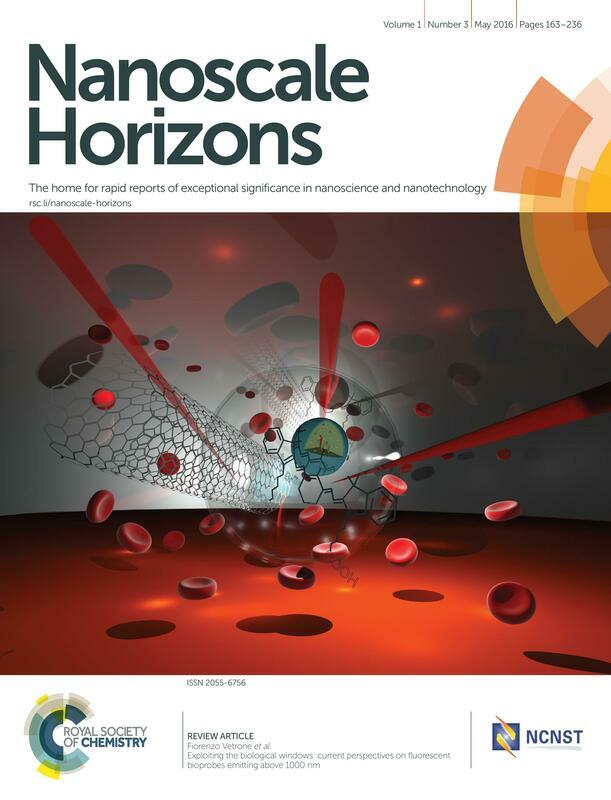 Lanthanide-based nanoparticles as promising probes for NIR-bioimaging and nanothermometry. ​ 27. Eva Hemmer, François Légaré and Fiorenzo Vetrone. Lanthanide-based upconverting nanoparticles as nanothermometers. 26. Eva Hemmer, François Légaré and Fiorenzo Vetrone. Lanthanide-doped NaGdF4 nanostructures: Synthesis, characterization and their potential for nanothermometry. 25. Eva Hemmer, Tomoyoshi Yamano, Hidehiro Kishimoto, Fiorenzo Vetrone, François Légaré and Kohei Soga. Ln3+-doped Gd2O3 nanostructures for NIR-NIR bioimaging. 24. Eva Hemmer, Kohei Soga, Hidehiro Kishimoto, François Légaré and Fiorenzo Vetrone. Upconverting and NIR-emitting gadolinium-based nanostructures for Bioimaging. 17. Eva Hemmer, Tomoyoshi Yamano, Hiroyuki Takeshita, Takanori Fujiki, Hidehiro Kishimoto, Mike A. Boss, Ron B. Goldfarb and Kohei Soga. 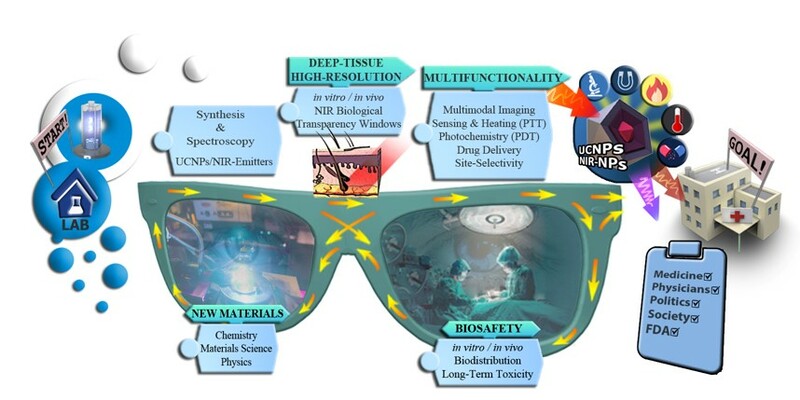 Multifunctional Er3+ and Yb3+ doped Gd2O3 nanostructures for opto-magnetic bioimaging. 1. Sanjay Mathur, Hao Shen, Eva Hemmer, Thomas Ruegamer, Jessica Altmayer and Patrick Kuhn. Protective coatings by chemical vapor deposition. From molecules to materials - A scientific trip around the globe. What comes first - network or mobility?